This charming youth sleigh bed blends rustic and contemporary styles, creating a charming and updated bed. 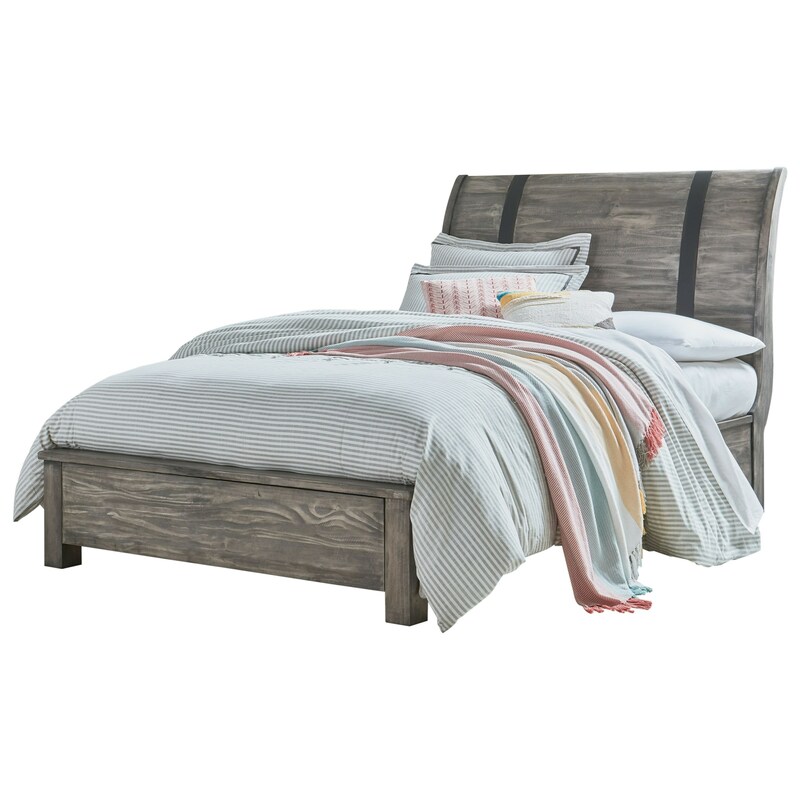 The bed has a low footboard and a stylish sleigh headboard accented with metal bands for a rustic industrial feel. The set has clean faces and tapering block legs, contrasting with the rustic finish. Pair with the matching storage pieces for a rustic youth bedroom perfect for boys or girls. The Nelson Full Rustic Sleigh Bed by Standard Furniture at Miskelly Furniture in the Jackson, Pearl, Madison, Ridgeland, Flowood Mississippi area. Product availability may vary. Contact us for the most current availability on this product.